The Team Jeff Elementary went 2-2 today at the Floyd Central Duals tournament, taking 3rd in their pool. All the kids wrestled hard! 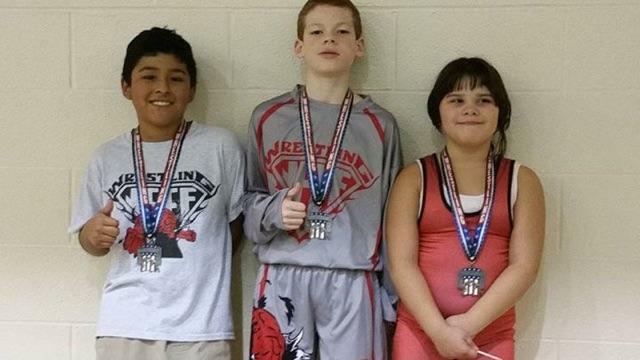 Going 4-0 on the day was Israel Aguilar, Sammy Jemerson, and Little Kauchak.